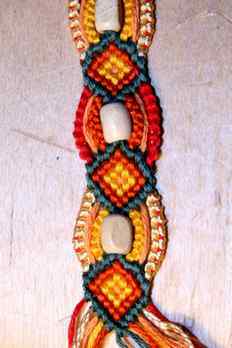 In this tutorial you can learn how to make the Ankara-bracelet from http://www.freundschaftsbaender.at supplemented by beads in the middle. 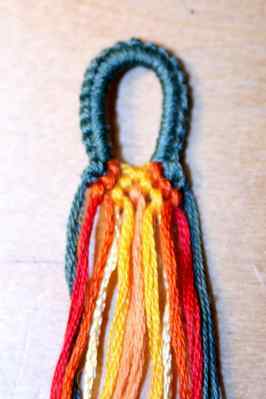 Take the orange and the yellow string and make 6 or 7 orange forward/backward-knots (the number of knots depends on the dimension of the bead). 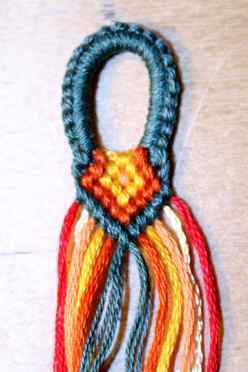 Take the two orange threads from the middle and make 4 backward-knots + 1 bfk on the left side and 3 forward knots + 1 fbk on the right side. Take the two yellow threads and make 2 bk + 1 bfk on the left and 1fk + 1fbk on the right. 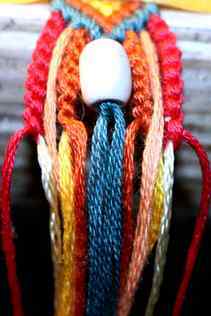 Make a fk with the light orange threads. 1. Start with 14 strings, start it as you like. I started it with a loop. You need about 80 cm per string. 2. 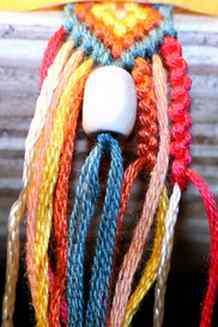 Connect the two middle strings with a Forward knot. Make 6 BK to the left with the left one of the middle strings. 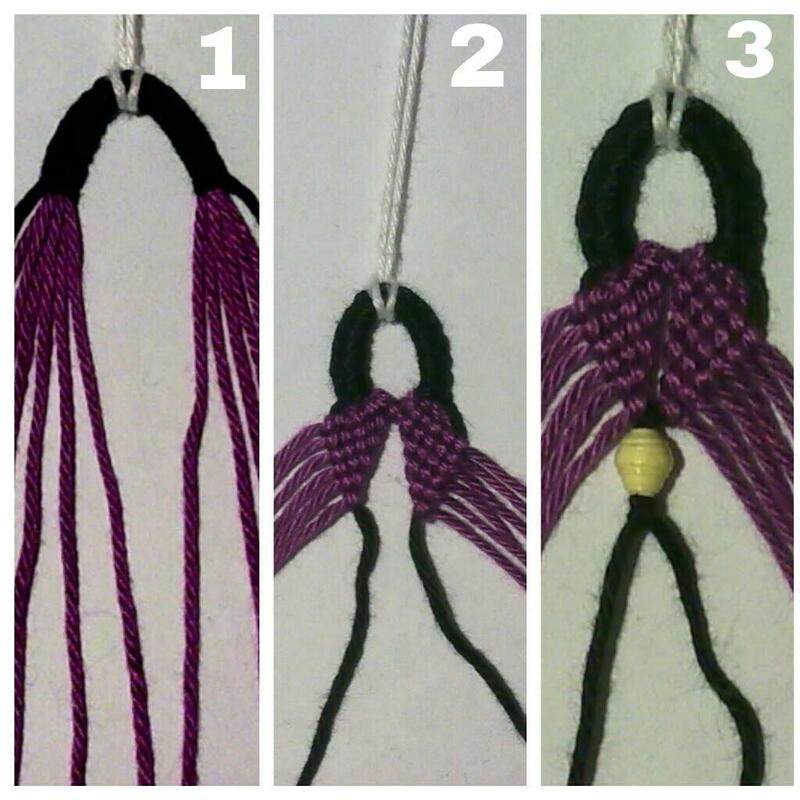 Make 6 Forward knot with the right one of the middle strings. 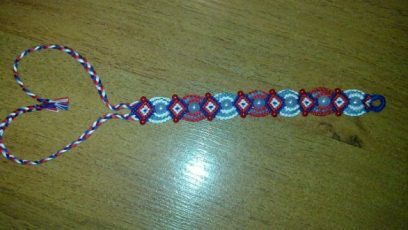 Continue making candy stripes on both halves of the bracelet, make each row 1 knot shorter than the row before and do not connect both halves in the middle of the bracelet until after the last row. 3. 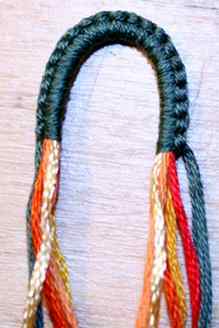 Make a Forward Knot with the two middle strings to connect the two halves. 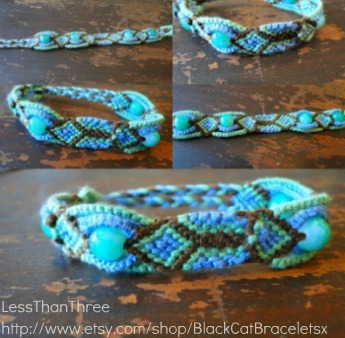 You can now add a bead if you want. 4. 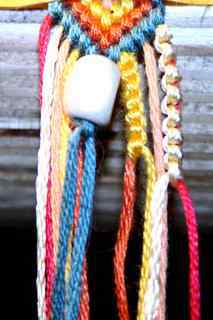 Knot each string onto the middle strings. 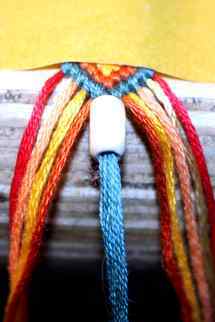 Each string makes one knot, FK on the leftside of the bracelet, BK on the right side of the bracelet. 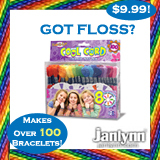 Make sure that the loose string are long enough! 5. Repeat from 1 till you reach the desired length. 6. 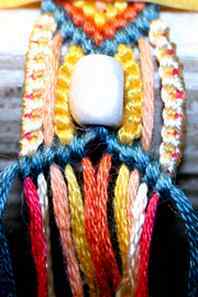 You can add beads onto the loose strings if you like, or knot some of them together. 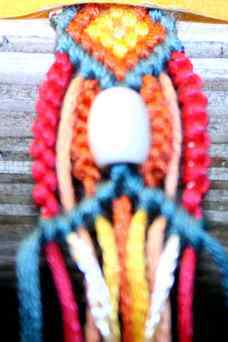 The backside of the bracelet is the side that was up when you made the knots. In photo 6 you can see the good side up. Good luck, I hope this was helpful! 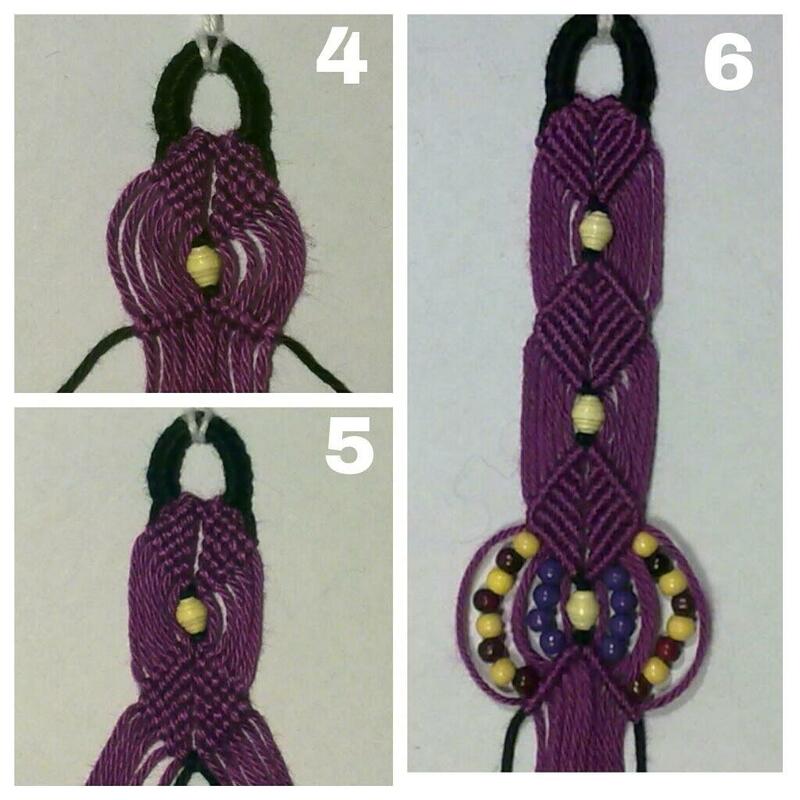 The original author of this tutorial is Arismende, but it has also been edited by Stefan, Foz, Nadinchen, Jeckle, FatnSassy, Sareana, HarleyMama23, k_marie, Tayrex, Alicat, hellokittylover, Me_Gusta, K4yk4y101, KnotterHolic and Chip3622. The tutorial was last updated 5 years ago.